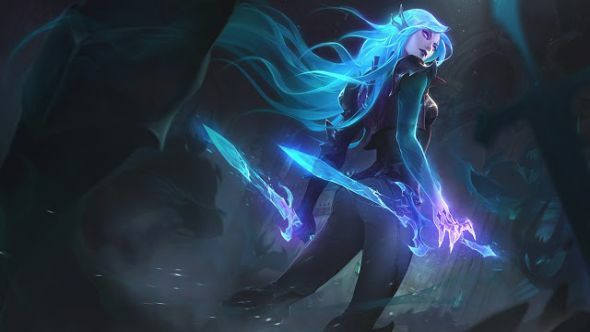 League of Legends’ next big content patch is 7.21, continuing down the road to preseason, as well as adding a few larger balance changes. 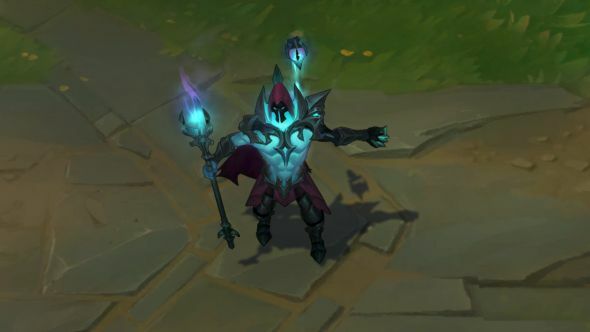 There’s also a new skin line in the form of the three Death Sworn skins. Have a look below for all the information we’ve got, straight from the PBE. 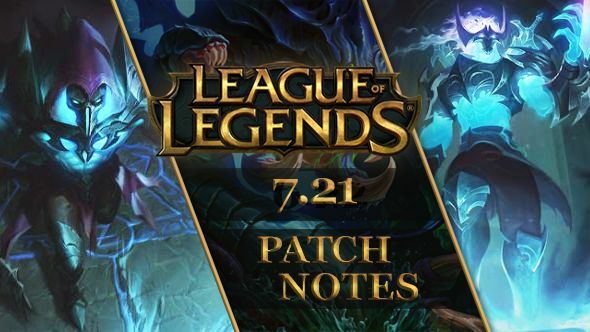 Stay up to date with the League of Legends patch 7.22 notes. We don’t know the exact release date for patch 7.21 yet, but the schedule is bi-weekly so expect it on Wednesday October 25. We’ll update when Riot do, but keep an eye on theserver maintenance pagefor the latest updates. Soldier damage decreased to 60-180 from 60-185 (based on level). Cooldown against minions and monsters reduced to 0 seconds from 5 seconds. New effect: Damage is doubled versus monsters, up to a maximum of 600. Minimum damage from percent health increased to 25% from 0%. AP ratio increased to 70% from 40%. AP ratio on windblasts increased to 90% from 75%. Percentage of max health dealt as damage on tornado increased to 3% per 100 AP, per half-second from 2% per half-second. AP ratio increased to 90% from 70%. Gold plunder increased to 3/4/5/6/7 from 2/3/4/5/6. Bonus armor gain changed to20 (+50/60/70/80/90% total armor) from20 (+50/55/60/65/70% total armor). Bonus magic resist gain changed to10 (+25/30/35/40/45% total MR) from20 (+50/55/60/65/70% total MR). Frost armor undamaged cooldown changed to 12 seconds from 15/12/9 seconds. Frost armor persist time decreased to 2 seconds from 1/2/3 seconds. Frost armor resist bonus increased to 20/70/120 from 20/60/100. Damage decreased to 20/30/40/50/60 from 40/60/80/100/120. Base armor decreased to 22 from 27. Armor growth decreased to 3 from 4. Base magic resist decreased to 27.1 from 32.1. Magic resist growth decreased to 0.75 from 1.25. AD ratio increased to120/135/150/165/180% from120/130/140/150/160%. AP ratio increased to 60% from 45%. AD growth increased to 5 from 3.2. Leg cooldown changed to30/20/10/5/2.5 seconds from30/25/20/15/10 seconds. Per-leg cooldown is no longer reduced by cooldown reduction. Damage per leg lowered to2/3/4/6/8% of target’s max health fromfrom 4.5/5.25/6/7/8%. Mana cost changed to 50 at all ranks from35/40/45/50/55. Time before detonation decreased to 0.5 seconds at all ranks from 0.85 seconds. Missile speed increased to 3200 from 2100. Attack speed lowered to [10-30%] from [20-35%]. Additional damage lowerd to [5-20] from [20-35]. Unique Passive: Mana Charge rate of occurence increased to 3 times every 12 seconds from 2 times every 8 seconds. Mana per stack increased to 5 from 4. Each patch has its own login screen with unique music. They’re always fairly excellent, though 7.21’s hasn’t appeared yet – expect it in the next week or so. It will likely be based around the Death Sworn skins. Meddler’s offered somegameplay thoughtsconcerning the base stat adjustment that will arrive in 7.22. 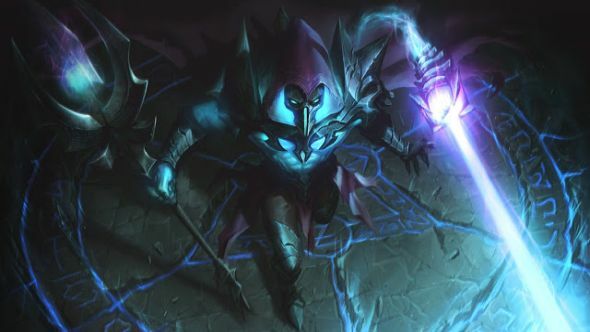 He also mentions that Ardent Censer will be revisited over the course of preseason. Playtest Penguin says theLethality and Magic Penetration changes being made in this patch are an attempt to tune the relevant items up to “correct” power levels. AzuBK provided alittle extra contexton this, linking the changes to Runes Reforged tweaks. Moregameplay thoughtsfrom Meddler suggest upcoming improvements to health bars, more item-tweaking to bring items in line with new runes, and a reminder that this is a reasonably small patch, but that 7.22 will be much bigger. Here’s some context on theEkko changes, which aims to explain why he’s been tweaked so much this patch. Meddler’s most recentgameplay thoughtsoffer some context to changes to Ornn, Evelynn, and Locket of the Iron Solari. 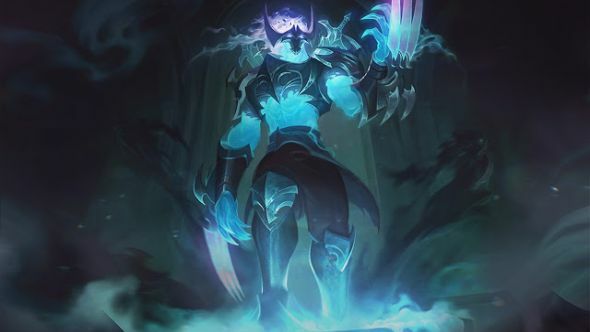 The Runes Reforged changes coming this preseason mean that almost every champion in the game is being changed over the course of the next few patches, but those changes won’t go live until November. Below are all the recurring changes from previous patches. Base AD increased from 60.376 to 68. Base Armor increased from 24.384 to 33. Blood Thirst / Blood Price (W) damage increasedto 50/85/120/155/190 from 45/80/115/150/185. Blades of Torment (E) damage increasedto 75/115/155/195/235 from 70/110/150/190/230 . HP growth increased to 92 from 80. Base HP increased to 526.4 from 514.4. Base armor increased to 31.28 from 26.38. HP growth increased to 90 from 85. Base HP increased to 592.8 from 587.8. Base armor increased to 44.38 from 24.38. Base AD increased to 61.38 from 53.384. Base armor increased to 32.54 from 23.544. HP growth increased to 82 from 70. Base HP increased to 479.6 from 467.6. HP growth increased to 88 from 76. Base HP increased to 523.68 from 511.68. Base AD increased to 64.51 from 56.508. Base HP increased to 562 from 550. Base HP increased to 552 from 540. Base armor increased to 34 from 25. HP growth increased to 76 from 88. Base HP increased to 519.68 from 507.68. Base armor and magic resist increased to 17.5/20/22.5/25/27.5 from 15/17.5/20/22.5/25. Base armor increased to 46.72 from 26.72. Base AD increased to 61.66 from 53.66. Base armor increased to 31.88 from 22.88. HP growth increased to 87 from 75. Base HP increased to 537 from 525. Base AD increased to 68 from 60. Base ARmor increased to 35 from 26. Damage increased to 70/100/130/160/190 from 65/95/125/155/185. Damage increased to 75/120/175/210/255 from 70/115/160/205/250. Base AD increased to 63 from 55. Base armor increased to 32.38 from 23.38. HP growth increased to 87 from 82. Base HP increased to 518 from 512.76. Base AD increased to 64 from 56. Base armor increased to 39 from 30. Base armor increased to 31.05 from 26.05. HP growth increased to 95 from 90. Base HP increased to 594.2 from 589.2. Damage increasedto 75/110/145/180/215 from 70/105/140/175/210. Base AD increased to 63.8 from 55.8. Base armor increased to 35.54 from 25.544. Base AD increased to 69.27 from 61.27. Base armor increased to 35.88 from 26.88. Base armor increased to 32 from 27. HP growth increased to 85 from 80. Base HP increased to 585 from 580. Base armor increased to 27.13 from 22.128. Base HP increased to 534.4 from 529.4. Base AD increased to 55 from 47. Base armor increased to 37 from 28. Cooldown lowered to 6 seconds at all ranks from 8 seconds at all ranks. Cooldown refund for hitting a monster decreased to 30% from 60%. Initial dart damage increased to 35/40/45/50/55 from 25/30/35/40/45. Spike damage increased to 35/40/45/50/55 from 25/30/35/40/45. Magic damage increased to 40/55/70/85/100 from 30/45/60/75/90. Empowered magic damage increased to 70/90/110/130/150 from 60/80/100/120/140. Damage increased to 80/130/180/230/280 from 75/125/175/225/275. Base AD increased to 63.66 from 55.66. Base armor increased to 30.88 from 21.88. Base armor increased to 29.88 from 20.88. Base armor increased to 33 from 24. Damage increased to 70/80/90/100/110 from 65/75/85/95/105. HP growth increased to 29.88 from 20.88. Base HP increased to 570.48 from 558.48. HP growth increased to 112 from 100. Base AD increased to 65.88 from 57.88. Base armor increased to 35.54 from 27.536. Base armor increased to 35.05 from 26.05. AD on initial damage increased to 100% of bonus AD from 80% of bonus AD. Detonation damage increased to 85/115/145/175/205 from 80/110/140/170/200. Base HP regen increased to 1.6 from 1.3352. Base AD increased to 68.83 from 60.83. Damage increased to 55/90/125/160/195 from 50/85/120/155/190. Minimum damage increased to45/80/115/150/185 from40/75/110/145/18. Maximum damage increased to90/160/230/300/370 from80/150/220/290/360. Base AD increased to 87 from 75. Base armor increased to 35.72 from 26.72. Base HP increased to 488 from 476. Base armor increased to 34.4 from 25.3. Base AD increased to 69.54 from 61.544. Base armor increased to 34.3 from 25.3. Base armor increased to 27 from 22. Base armor increased to 28.38 from 19.384. Base AD increased to 63.71 from 55.712. Base armor increased to 38 from 29. Base AD increased to 69.97 from 61.97. Base armor increased to 36.04 from 27.04. Damage increased to 80/120/160/200/240 from 70/110/150/190/230. Minimum damage increased to 55/80/105/130/155 from 50/75/100/125/150. Base AD increased to 58.38 from 50.78. Base armor increased to 27.38 from 22.38. Base HP increased to 576.2 from 571.2. Damage increased to 40/75/110/145/180 from 35/70/105/140/175. Damage increased fto 75/125/175/225/275 from 70/120/170/220/270. Base AD increased to 61 from 53. Base armor increased to 29 from 20. Base AD increased to 66.46 from 58.46. Base AD increased to 71 from 63. Base armor increased to 28.01 from 19.012. HP growth increased to 95 from 83. Base HP increased to 534.44 from 522.44. HP growth increased to87 from 75. Base HP increased to 576.04 from 564.04. HP growth increased to 90 from 78. HP growth increased to 94 from 82. Base HP increased to 602 from 590. HP growth increased to 105 from 93. Base armor increased to 29.3 from 24.3. HP growth increased to 84 from 79. Base HP increased to 540.72 from 535.72. Base AD increased to 63.21 from 55.21. Base armor increased to 36 from 27. Damage increasedto 65/90/115/140/165 from 60/85/110/135/160. Damage increasedto 85/115/145/175/205 from 80/110/140/170/200. Bonus damage increased to65/85/105/125/145 from60/80/100/120/140. Beartrap damage increased to 30/55/80/105/130 from 25/50/75/100/125. Bonus damage increased to 25/35/45/55/65 from 20/30/40/50/60. Damage increased to 25/50/75/100/125 from 20/45/70/95/120. Base Armor increased to 28.88 from 19.88. Base AD increased to 65.46 from 57.46. Base health increased to 528 from 516. Base HP increased to 528 from 516. Damage increased to 55/85/115/145/175 from 50/80/110/140/170. Base AD increased to 69.18 from 61.176. Base armor increased to 33.22 from 24.216. Base HP increased to 518.12 from 506.12. Damage increased to 85/120/155/190/225 from 80/115/150/185/220. Base armor increased to 33.04 from 24.04. Base armor increased to 28.22 from 19.216. HP growth increased to 91 from 76. Base HP increased to 489.72 from 477.72. Base armor increased to 37.3 from 28.3. Base AD increased to 71.54 from 63.54. Base AD increased to 68.04 from 60.04. Base AD increased to 54 from 46. Base armor increased to 25 from 20. HP growth increased to 78 from 73. Base HP increased to 520 from 525. HP growth increased to 98 from 86. Base HP increased to 33.88 from 24.88. Base armor increased to 19.72 from 28.72. Base AD increased to 67.18 from 59.18. Base armor increased to 35.46 from 24.88. Base AD increased to 65.54 from 57.544. Base armor increased to 26.46 to 25.46. Base armor increased to 27.88 from 22.88. Base HP increased to 545 from 540. Base AD increased to 67.21 from 59.208. Base armor increased to 25.88 from 26.88. Base AD increased to 67 from 59. Base armor increased to 28 from 23. Base HP increased to 540 from 535. Base AD increased to 68 from 57.98. Base armor increased to 35.04 from 26.04. Damage increased to 80/125/170/215/260 from70/115/160/205/250. HP growth increased to 91 from 79. Base HP increased to 529.72 from 517.72. Base AD increased to 67.72 from 59.72. Damage increased to 75/110/155/195/235 from65/105/145/185/225. Damage increased to 100/150/200/250/300 from 80/130/180/230/280. Base armor increased to 28 from 29. Base AD increased to 62.46 from 54.46. Basse armor increased to 32.38 from 23.38. Base AD increased to 70 from 62. Base armor increased to 26 from 24. Base AD increased to 63.88 from 55.88. Base armor increased to 40.38 from 31.384. Base AD increased to 65.5 from 57.5. Base AD increased to 66.33 from 58.328. Enhanced damage increased to 95/140/185/230/275 from 90/135/180/225/270. Damage increasedto 40/70/100/130/160 from 30/60/90/120/150. Enhanced damage increased to55/100/145/190/235 from45/90/135/180/225. Base armor increased to 34.58 from 25.584. Damage per strike increased to30/50/70/90/110 from25/45/65/85/105. Damage increasedto 55/100/145/190/235 from 50/95/140/185/230. Damage increasedto 55/85/115/145/175 from 50/80/110/140/170. Shield value increasedto 95/125/155/185/215 from 90/120/150/180/210. Base AD increased to 64.04 from 56.04. Base armor increased to 33.38 from 24.376. Base armor increased to 30.88 from 25.88. Base HP increased to 589.4 from 584.4. Base MR decreased to 27.1 from 32.1. MR growth decreased to 0.75 from 1.25. Base AD increased to 65.58 from 57.58. Base armor increased to 29.88 from 24.88. HP growth increased to 89 from 84. Base HP increased to 587.12 from 582.12. Damage increasedto 55/80/105/130/155 from 50/75/100/125/150. Base armor increased to 36.88 from 27.88. Base armor increased to 32.04 from 23.04. Base armor increased to 31.21 from 22.21. Base AD increased to 65.16 from 57.156. Base armor increased to 38.38 from 29.384. Base armor increased to 29.54 from 20.544. Base armor increased to 32.38 from 23.384. HP growth increased to 102 from 90. Base HP increased to 528.04 from 516.04. Base HP increased to 523.04 from 511.04. Base armor increased to 47 from 27. Base HP increased to 532 from 520. Damage increased to 65/90/115/140/165 from60/85/110/135/160. Return damage increased to70/95/120/145/170 from60/85/110/135/160. Base armor increased to 31.88 from 26.88. Base armor increased to 45 from 25. Base AD increased to 57.54 from 49.54. Base HP increased to 527.76 from 515.76. Base AD increased to 557. from 47.696. Base armor increased to 28 from 16. Damage increased to 55/80/105/140/155 from 50/75/100/125/150. Base AD increased to 64.96 from 56.96. Base armor increased to 36.54 from 27.536. Base AD increased to 69.38 from 61.376. Base armor increased to 33.11 from 24.108. Base HP increased to 533.76 from 521.76. Base AD increased to 63.46 from 55.46. Base AD increased to 66.29 from 58.286. Base armor increased to 34.47 from 25.47. Base AD increased to 94 from 82. Damage increased to 70/105/140/175/210 from 65/100/135/170/205. Base AD increased to 62.66 from 54.66. Base armor increased to 32.21 from 23.212. Base HP increased to 504.76 from 492.76. Base armor increased to 34.88 from 25.88. HP growth increased to 96 from 84. Base AD increased to 67.54 from 59.544. Base armor increased to 35.48 from 26.38. Base AD increased to 66 from 58. Damage increased to 55/65/75/85/95 from 50/60/70/80/90. Damage increased to 80/180/280 from 75/175/275. Base AD increased to 60 from 55.38. Base armor increased to 29.72 from 24.712. Base HP increased to 523 from 517.76. Base AD increased to 65 from 57. Base AD increased to 62.71 from 54.712. Base HP increased to 584.4 from 579.4. Secondary damage increased to45/66/87/108/129 from42/63/84/105/126. Damage increased to 70/95/120/145/170 from 65/90/115/140/165. Base HP increased to 536.4 from 524.4. Base armor increased to 28.13 from 19.134. Base armor increased to 29.04 from 20.04. HP growth increased to 79 from 74. Base HP increased to 504 from 499.32. Unique active – Stasis:Champion becomes invulnerable and untargetable for 2.5 seconds, but is unable to move, attack, cast spells, or use items during this time (One time use). Unique Active (Metallicize) cooldown increased to 92 seconds from 90 seconds. Combine cost lowered to 200 from 800. New effect: Basic attacks against monsters now grant 15% attack speed for 2 seconds. Bonus damage against monsters decreased to 20 from 30. New effect: Now burns monsters for 10 + 30% bonus health (max 50) magic damage. Lethality increased to 12 from 10. Magic penetration increased to 18 from 15. Magic penetration increased to 40% from 35%. New recipe:Seeker’s Armguard + Fiendish Codex + Stopwatch +200g. Combine cost lowered to 200g from 800g. Flash level decreased to 7 from 8. Smite level decreased to 9 from 10. Ignite level decreased to 9 from 10. Cleanse level increased to 9 from 6. Teleport level increased to 7 from 6. 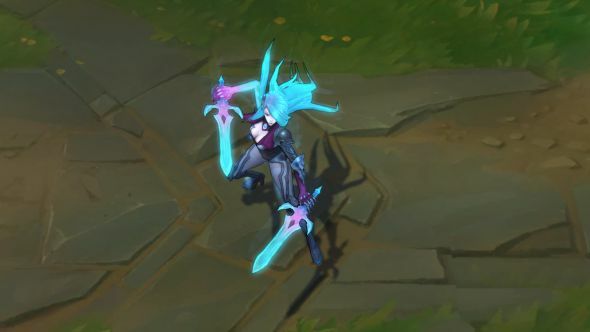 Clarity (ARAM) level increased to 6 from 1. Mark (ARAM) level increased to 6 from 1. To reiterate: These are all recurring changes – they’ve spent some time on the PBE over the last few cycles, but won’t go live for a while yet. 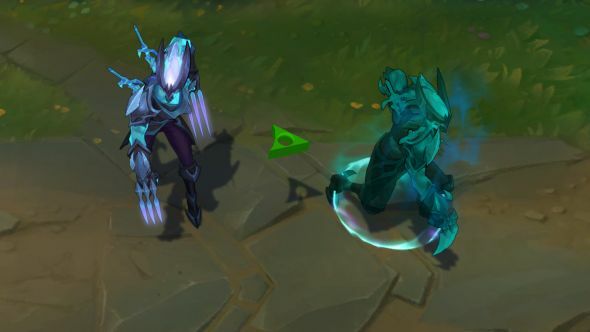 They should be live when preseason starts, on November 7, but like any PBE changes, they aren’t guaranteed to do so. That’s League of Legends patch 7.21. We’ll update as and when we get more info, or we’ll see you for patch 7.22 in the very near future. Let us know below if there’s any vital info we missed!